Starwood Capital Group is opening an office in New York City. 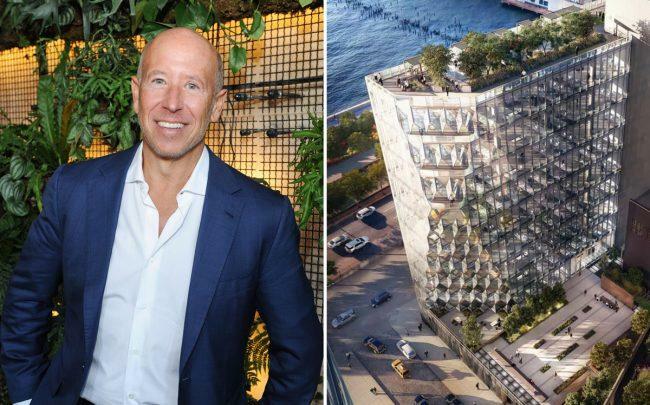 Barry Sternlicht’s real estate investment firm has signed a lease for the eighth floor of 40 10th Avenue, according to Bloomberg. Aurora Capital Associates and William Gottlieb Real Estate are developing the Meatpacking District property, known as the Solar Carve building. Starwood is taking 14,258 square feet in the roughly 160,000-square-foot office building, which should be finished this spring. Sternlicht’s firm has offices in Greenwich, Connecticut; Chicago; Los Angeles; San Francisco and Washington, D.C., among other cities. On the investment front, the company recently launched a $500 million Opportunity Zone fund – although Sternlicht has not been shy about his dislike of the program.